Are you an Apple fun brand lover who has one iTunes library that you would want to share among your different range of devices? This piece will show you just how to manage multiple devices with one iTunes library, without much of a hassle. The easiest way of controlling multiple devices with one iTunes library is through the use of iMyFone TunesMate iPhone Transfer. This third-party application has been developed for a free 2-way transfer and management of iTunes libraries between PC/iTunes sync and iDevices, thus enabling you to enjoy your music and videos anytime and anywhere with any device you wish. Received lots of positive media reviews and is full compatible with iOS 11. STEP 1: Transfer multiple iTunes Libraries to iPhone via “Transfer iTunes Media to iDevice." 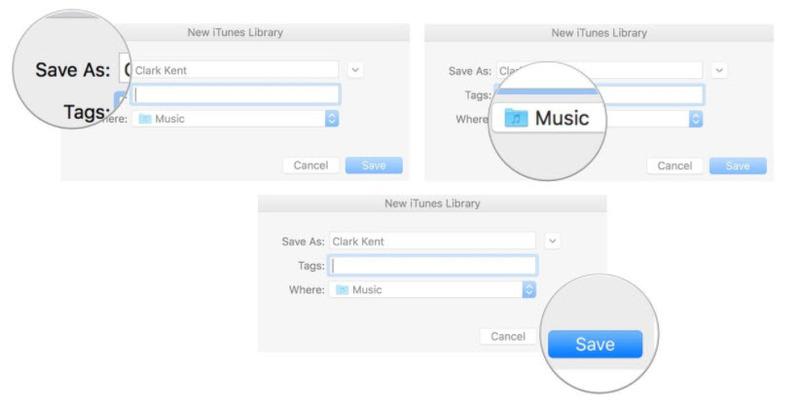 c.	From TunesMate Home interface click "Transfer iTunes Media to iDevice." e.	Check the media you want to transfer and then Click "Transfer" button to begin the transfer process and "OK" button to finish it. f.	Repeat the process if you have several libraries on different PCs/Macs. a. 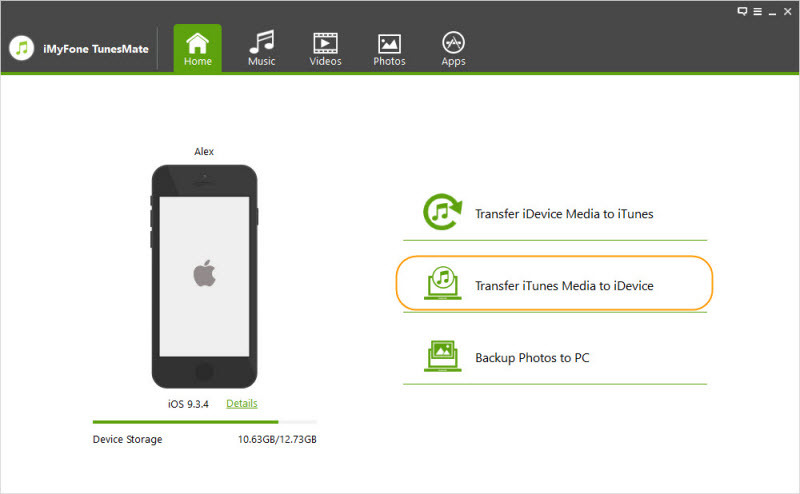 From TunesMate Home interface click "Transfer iDevice Media to iTunes." d.	Click on the "Start" button to begin the transfer process and on "Complete" button from the pop-up window to finish it the process. Once done you will have synced your iPhone with iTunes. The option of establishing a user account for each person enables independence and creation one's profile to customize as he or she wishes. 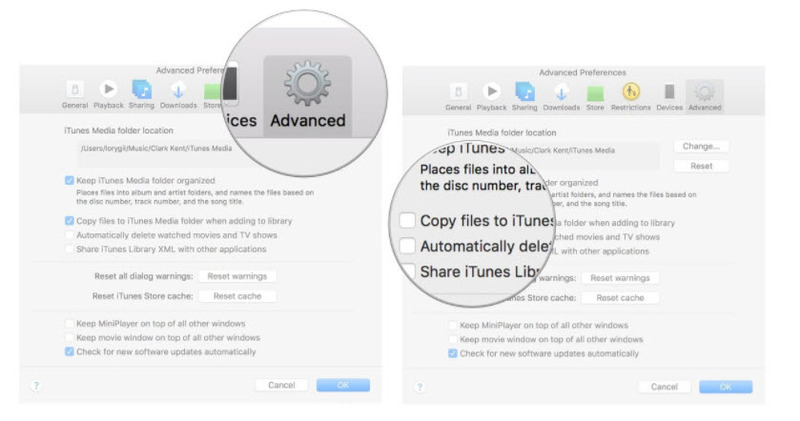 This enables a separate iTunes app for each user which he or she can use to sync their devices separately which becomes handy if some iPads or iPhones have parental control restrictions. ii. On the lower left corner of the Users & Groups window click on the lock and enter your administrator username and password. iii. Click Unlock and then the Add (+) button under the current users' list.